Manufacturing Accounting | Industry | DiSanto, Priest & Co.
You’re an established presence in the Manufacturing, Distribution, or Retail industry, which means your days are focused on combatting tough operational issues with innovative and streamlined processes such as Lean Manufacturing. With cost-conscious customers and the pressure to keep prices competitive, you need a relevant advisor who will strengthen your financial foundation as you experience your next level of growth. There is a way to execute orders on time and on budget today while also planning for your company’s future, and that’s why we are here to help. Whether it be retaining skilled labor or coping with an uncertain national economy, we have solutions that will help ease your burdens and help you reach your future goals. While you create tomorrow’s products, we lay the groundwork for your future success. As an established, full-service firm with some of the largest and most recognized manufacturers in New England, DiSanto, Priest & Co. can help your financial future to new heights. Our unique hybrid tax, assurance, and advisory services were designed for established Manufacturing, Distribution, and Retail companies like yours. You get one team with the training and credentials to handle all of your needs. And as your company grows, our specialized tax, audit, and advisory services grow with you. You’re constantly innovating, re-inventing and improving your processes and product in order to stay on the cutting-edge. But it takes more than great product and processes to stay competitive in today’s business and political landscape. Whether it’s understanding compliance and regulatory restrictions or managing costs and budgeting, the future of your company depends on addressing these challenges. DiSanto Priest & Co. has the strategic skill set and financial foresight to help your company stay ahead of the curve. Life’s too short. Plan proactively so you can enjoy today instead of worrying about tomorrow. We’re a partner who understands the Manufacturing, Distribution, and Retail industry and the unique challenges you face in today’s ever-changing business and political landscape. Our network of industry-specific professionals offers valuable experience in the unique compliance and regulatory requirements that affect your ability to stay competitive. 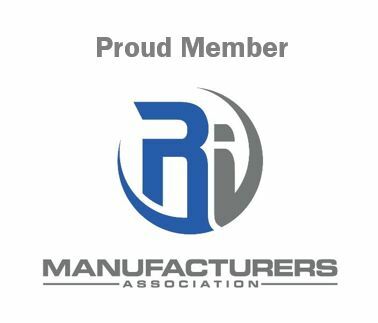 We’re even members of manufacturing organizations, such as Rhode Island Manufacturers Association (RIMA). Because you don’t need just another accounting firm – you need a relevant financial advisor who specializes in Manufacturing, Distribution, and Retail.